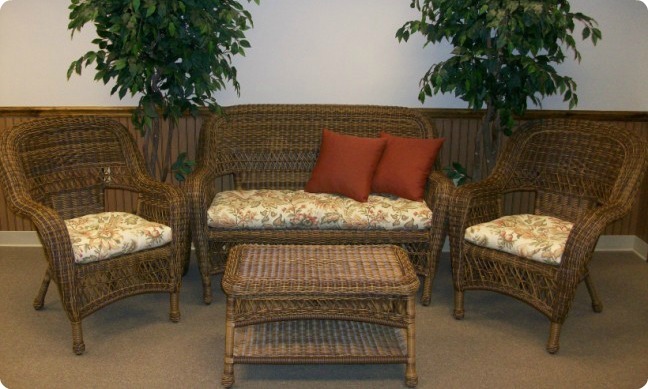 Wicker Imports makes standard size replacement cushions that fit most smaller wicker sets. You can choose from a great selection of fabrics from quality fabric makers including Sunbrella and Waverly. Our standard size cushions are filled with poly fill to resist water and they come with matching covered buttons. We believe of cushions are the best available, we only use quality components that will give you years of satisfaction indoors or out.